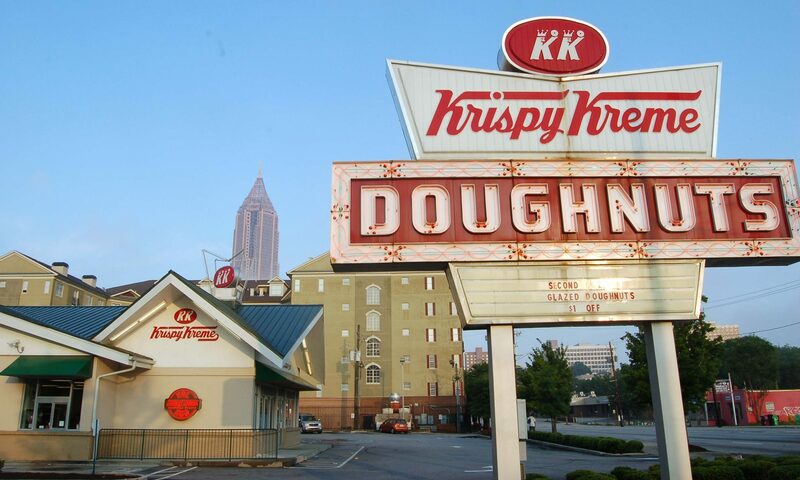 This purveyor of fine cuisine is located right up the street from our house. The sign sort of raises some issues, don’t you think? First of all, the chef must be considerably younger than me because, if I didn’t learn anything in the sixties, I learned that Oscar Mayer has a way with B*O*L*O*G*N*A. Come on, how powerful was that for learning on a massive scale. Madison Avenue should have gotten a Pulitzer for that gem. Obviously it was wasted on someone. Maybe it’s not wrong; maybe it’s the word sandwich that is misspelled. Hey moron, everyone around here no’s it’s spelled sammich. Okay, grammar aside, let’s talks about the nutritional aspects of this entree. Deep Fried? Holy chit. 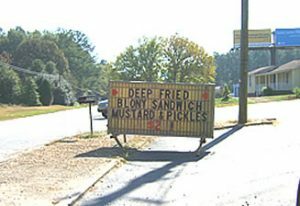 I HAVE heard of them being grilled like a grilled cheese sandwich, but deep fried? I hope they balance out the daily minimum requirements by offering a side of lard and garnishing it with fat back on a delicate bed of pork rinds. I may have to go up there and buy one of these things so I can photograph it and share it with you, the internet.